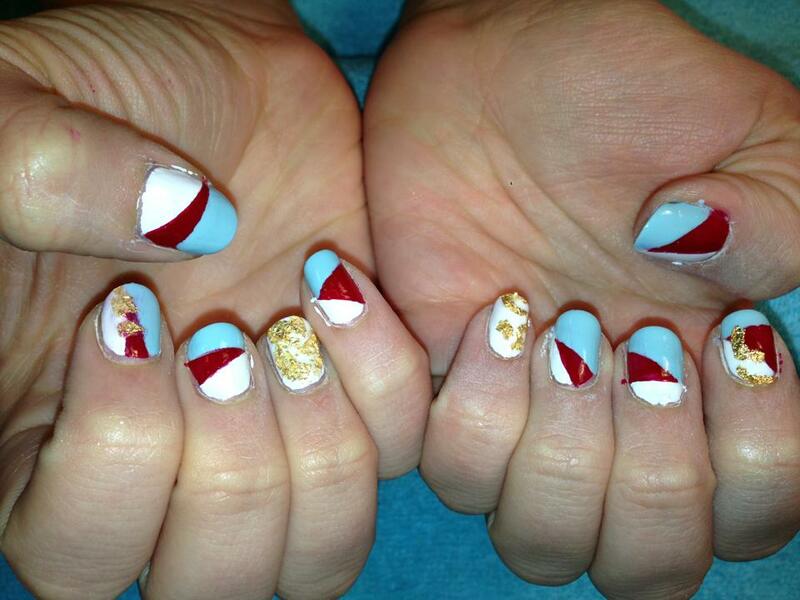 Iona Blog : Nailing It! It's no secret that I love nail art, having pretty nails with eye-catching designs quite simply makes me happy, I often do my own nails but I am lucky enough to live near Pinky's; easily the coolest nail bar in Scotland. Pinky's has just moved into a bigger new premises (still in The Stirling Arcade) and is rocking a retro feel with an amazing team working there to boot. Yesterday I popped into Pinky's for a wee file and polish and let Kelly the owner of Pinky's work her magic on my nails. Inspired by the retro feel surroundings, my nails are a one of a kind and have cheered me up on this miserable day. I can always count on Pinky's to give me a unique, amazing look. I hope you're all enjoying a relaxing weekend sheltering away from the snow and freezing cold temperatures, it's quite simply miserable out there. Tonight's a quiet one for me, I just finished watching The Perks of Being a Wallflower, which was brilliant! A quiet one was in order given the busy week I have ahead. Lastly I'll leave you with a wee picture of my adorable bunny wabbit Kili, a weekend cuteness fix! Bunny wabbit cuddles for everyone!! Can I bunny nap Kili please? !